Our favorite local pizza chain that makes some legit awesome pies. You can order whole pizzas, but most people pay by-the-slice and take them to go. Their pizza is just good. Also, it’s really inexpensive (usually €2-€2.50/slice), and they have lots of vegetarian options. The Micaela – we haven’t had a bad slice yet, but we’re both especially partial to their signature, which comes with white sauce, mushrooms and a hint of black truffle. Ali loves their traditional arugula, tomato and prosciutto pizza. 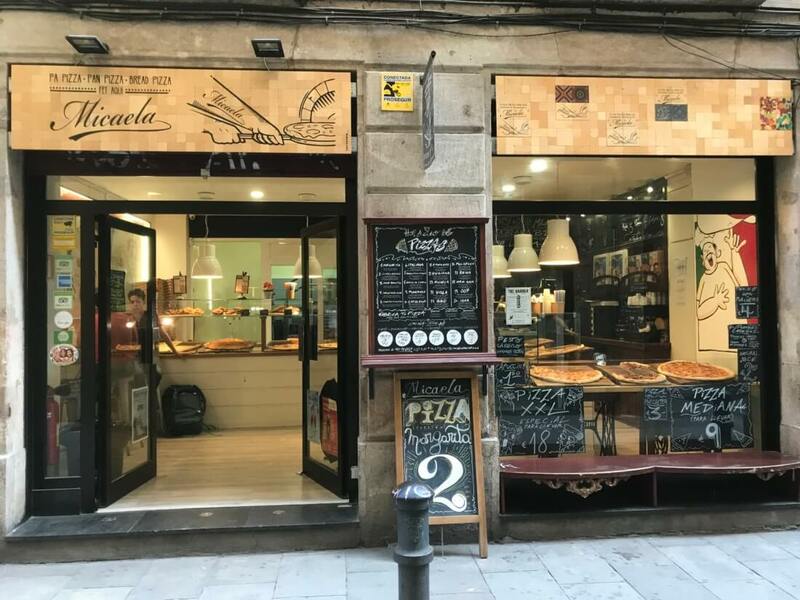 Their classic margherita pizza is a great way to keep you going until the next tapas bar, and costs €2 per slice. Seating is limited in most locations, so take your pizza to go and find a nice bench nearby if it’s crowded.